"All-in-One, Easy-to-Use Hearing & Vision Solution!" The next generation of big button amplified cordless phones! 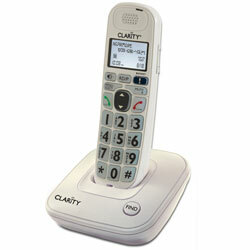 The Clarity D702 30dB amplified low vision cordless phone combines hearing, vision and mobility solutions into one amazing value.